Written by writer illustrator Grace Fraraccio. 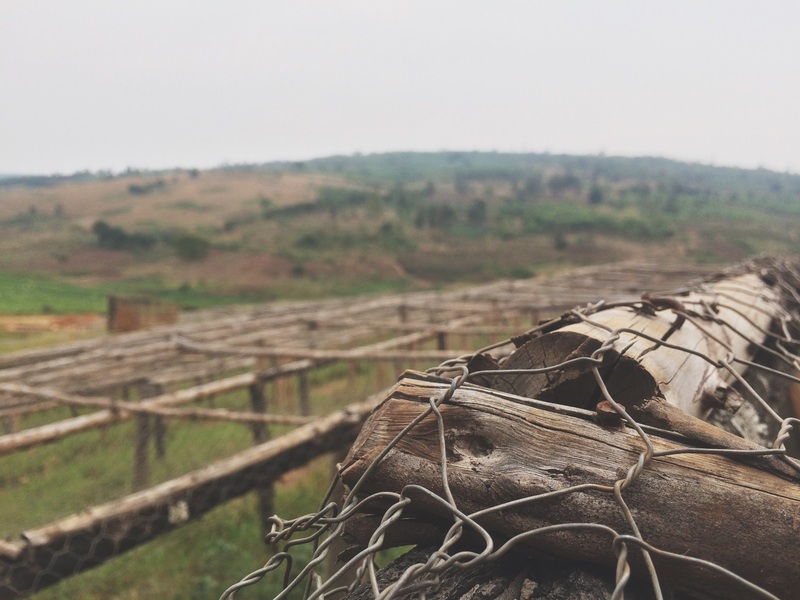 Two-hour bus ride into red earth we find ourselves far from Kigali, in a rural pocket of Rwanda. Moments of landscape steal memories of Australia, with eucalyptus trees beneath a harsh hot sun. 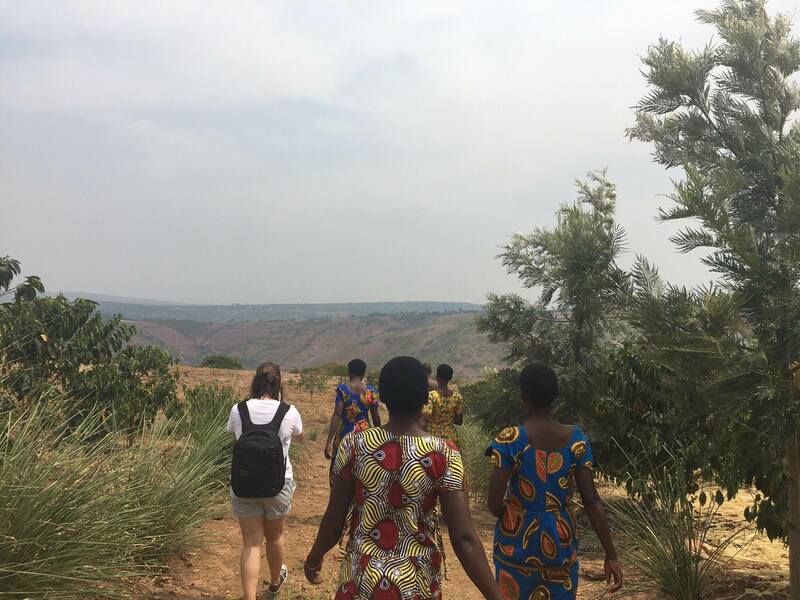 We are welcomed by a group of coffee farmers, all women, and all dressed in the wonderfully bright clothing so frequently found in Rwanda. These are five of the 150 women working on the 10 hectare coffee plantation managed by Sustainable Harvest who prioritize employment for women. They greet us with African harmonies, singing about the power of women and the blessing of coffee in their village. 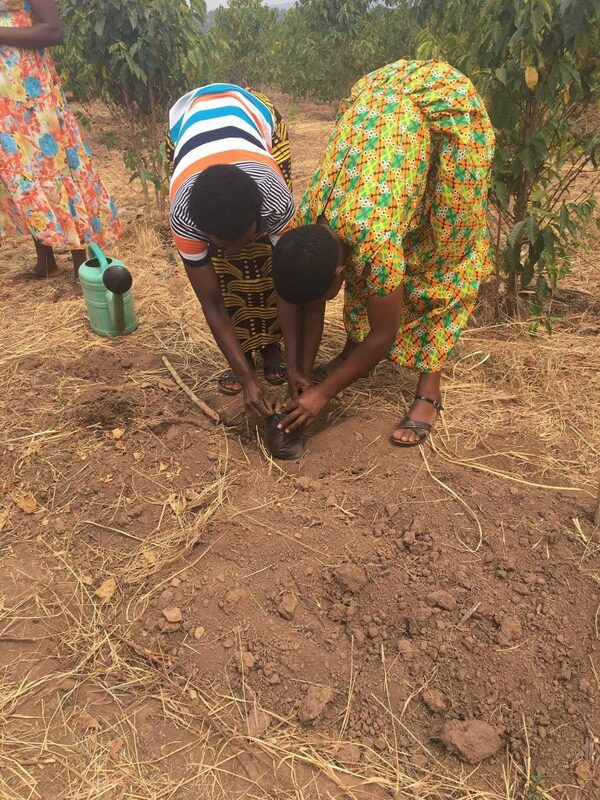 They are generous in their demonstration of each step of the process from seed to cup. 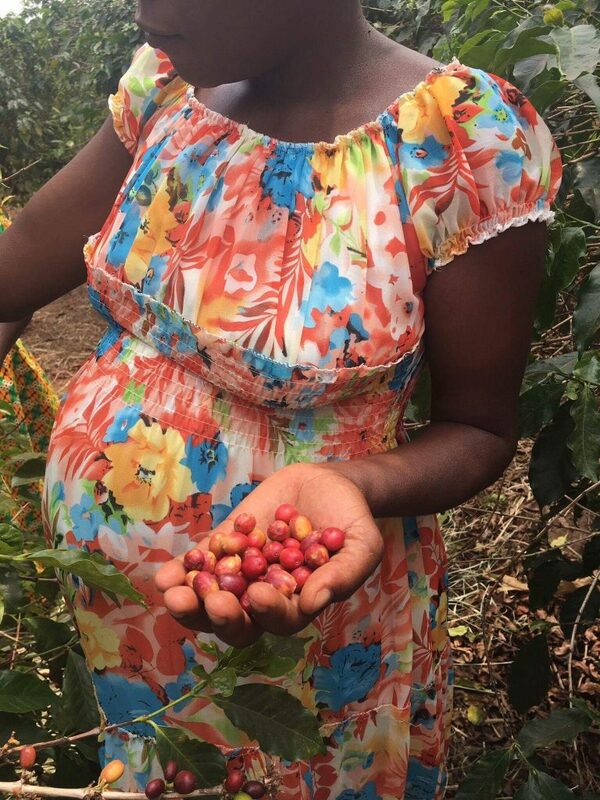 From fertilizing of the soil with banana leaves and cow dung, to the roasting of beans in a pot on the open fire, we learn of the many stages of sorting these women dutifully take to ensure their coffee is of high quality. 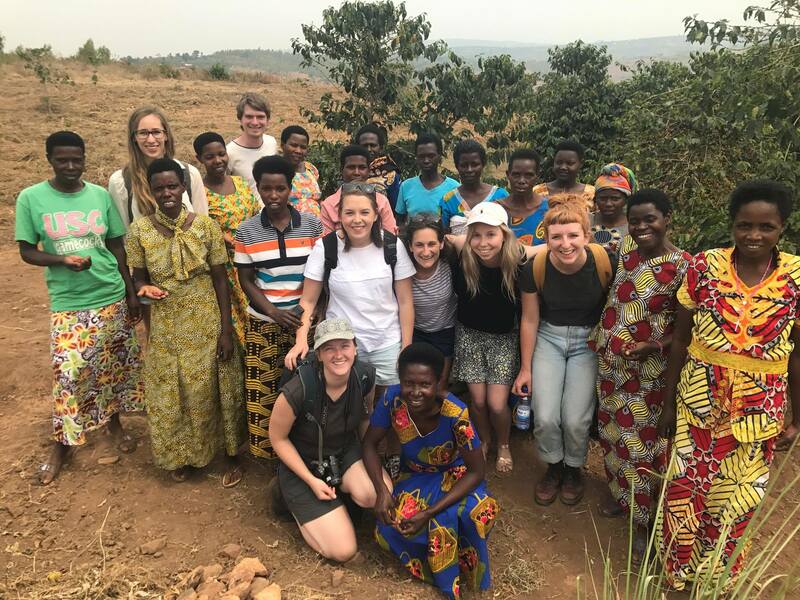 While coffee has been exported from Rwanda for over 60 years, the women working on this plantation have only recently learnt what coffee berries are harvested for. 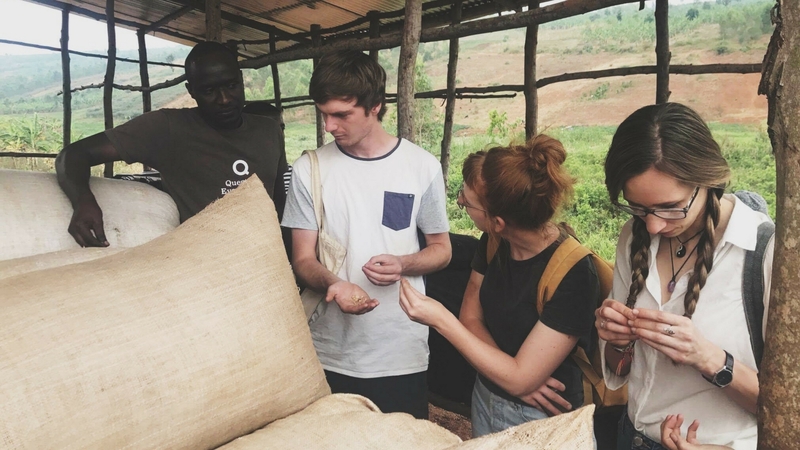 Since Sustainable Harvest have bought equipment to roast and cup coffee, these women have found a new passion in knowing their product and being able to accurately judge how much they should charge for their beans as well as adjust their farming techniques according to taste. Translated by our guide Sylvere, one of the women accurately said, “good things are found in faraway places”. And so it is with the delicious beans sourced from Twongere Umusauro.